Kaija Saariaho was in an understandably anxious mood when I interviewed her on Saturday morning, 14 November 2015. It was the third day of the AMS Louisville meeting, which coincided with the University of Louisville New Music Festival, where Saariaho and composer and visual artist Jean-Baptiste Barrière were featured. Overwhelmed by the previous night’s horrific news of the ISIS attack in Paris, her adopted home for over thirty years and the home of her children, she seemed to channel earlier interviews in answering several of my introductory questions. Only when I asked her about her stylistic development did our session begin to unfold into something more distinctive. Perhaps annoyed, she declared that she is not a spectralist, in an attempt to avoid being tagged and lumped together with other musical spectralists, or with any given “-ism,” yet again. To tell you the truth, I got such fiercely negative reactions to my ideas from women composers that I decided not to work in that area anymore. After Feminine Endings and “Different Drummers” (which upset many women), I just went back to doing my research on early music. After all, women composers have a hard enough time of it, and if I was contributing to their discomfort, I didn’t want to continue in that vein. I tried to exhort other musicologists to pay attention to the music written by women, but they seemed to think that this was an essentialist project. Very little happened as a consequence. Some things did change, however gradually and slowly, at least for Saariaho, even before Moisala’s book, culminating in the upcoming production. L’amour de loin looms as her tour de force. An opera about love and death—the eternal theme—it leads the listener through a spiritual-emotional journey. As opposed to most traditional operas, almost nothing happens, and the minimalism in action is mirrored in Peter Sellars’s atypically minimal approach in his staging of the premiere. Still, the opera is mesmerizing, first and foremost for the sheer beauty of her musical language, inspired by spectralist techniques. L’amor de loin requires enormous ingenuity from its composer in that little action occurs in a traditional sense. The drama is almost entirely internal, occurring within the minds of the protagonists. Saariaho rises to the challenge with her travels through Western music, encompassing elements from Medieval tunes, which informed the undulating, secundal melodies, slightly modal in fractions of the lavish lines, through “Liebestod,” which is hinted at the end of the opera, where the protagonist, Jaufré Rudel dies after a long emotional journey, as he finally reaches Clémence, the faraway love of his life. A composition which references, however remotely, twelfth-century melodies (the original Rudel story is from that time), romantic lyricism, Pelléas et Mélisande quasi-parlando style in its recitatives, Messaien’s spirituality, shadows of Ligeti’s clusters, glimpses of both minimalist concept of time and spectral approach to orchestration, and additionally, encompassing a broad continuum between monophony, homophony, polyphony and heterophony, when textures are not juxtaposed but rather dissolve or metamorphose into one another—could easily fall into the nebulous category of “postmodern” works, or more recent pastiche and polystylistic movements. It does not. Saariaho’s careful sculpturing of these elements into her signature harmonic-orchestral-structural language (in a sharp contrast to, say, Schnittke’s or Rochberg’s third quartets) makes her seams natural, almost unnoticeable. New spirituality, if we may dare to add one more tag to our rhetorical foil, radiates from her music as she shares conceptual bases with later twentieth-century spiritualist composers, Pärt, Silvestrov, and Reich (think of his Tehillim, Proverb, WTC 9/11) among them—sharply distinguished from their divergent trends, for stylistic reasons. Now as an honorable scion of a certain thread of Western music, Saariaho returns, not only conceptually and not only in her opera, to our ancient roots: to music about love and death and the beauty of the cosmos and the divine. The AMS Louisville 2015 session “Women Composing Modern Opera” was organized by Daniel Goldmark and chaired by Suzanne Cusick. Susan McClary, “Kaija Saariaho and Peter Sellars: Staging Feminism,” a paper delivered at the annual conference of the AMS in Louisville, 2015, p. 4. I thank McClary for sharing this unpublished paper days after the conference. Susan McClary, “Different Drummers: Interpreting Music by Women Composers,” Frauen- und Männerbilder in der Musik: Festschrift für Eva Rieger, ed. Freia Hoffmann, Jane Bowers, and Ruth Heckmann (Oldenburg: Bibliotheks- und Informationsystem der Universität Oldenburg, 2000), 113-26. My email correspondence with Susan McClary, 1 March 2012, cited by permission. This encouraged me to keep writing about living women composers (Betty Olivero among them), despite similar responses from some of them. Writings about women composers do sprout faster than ever. See, for instance, the University of Illinois Press’s women composers series, including two books by Amy Beal, on Carla Bley (2011) and Johana Beyer (2015); one of their first titles in this series was Pirkko Moisala, Kaija Saariaho (Urbana and Chicago: University of Illinois Press, 2009). Kaija Saariaho: L’amour de loin (Finnish National Opera under Esa-Pekka Salonen, directed by Peter Sellars), Deutsche Grammophon 2005, DVD 00440 073 4026. 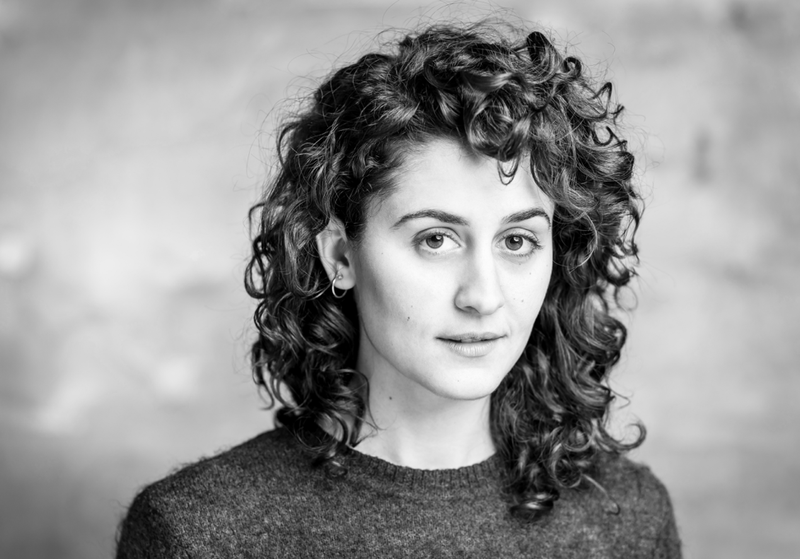 Ronit Seter has served on the faculties of the Peabody Conservatory, George Washington University, Hebrew University of Jerusalem, and American University (DC). A contributor to the Grove Music Online, she has published in Die Musik in Geschichte und Gegenwart, Encyclopedia Judaica, Tempo, Notes, Min-Ad, Journal of the American Musicological Society, and Musical Quarterly. Her book in progress on Israeli composers, supported by an NEH Fellowship, is under contract with Oxford University Press. She is co-founder of the AMS study group Jewish Studies and Music. Seter earned her Ph.D. at Cornell University, and she lives in Fairfax, VA, where she also teaches piano privately. She is affiliated with the Jewish Music Research Centre, Hebrew University of Jerusalem. What do All These Beatles Covers Tell Us? Studies of cover songs have deservedly proliferated in the last decade. Singers and groups are understood to shape their musical identities in their treatment of an earlier song, indeed, even in their choices of which songs to cover. For years I have found in my teaching, first in a rock history class, now in one on the music of The Beatles, that the comparison of an original song with a good cover provides a chance to talk about how music, words, and performance work together to create artistic meanings, at times diametrically opposed meanings. Now, thanks to a wonderful database devoted to covers, Secondhandsongs.com, it is possible to use cover songs to measure the artistic impact of a singer, songwriter, or rock group. As of 4 June 2016, Secondhandsongs.com provides information on 372,225 covers of 54,019 original songs. There is no better demonstration of what this data opens up for study than measuring the legacies of songs by John Lennon and Paul McCartney against those of other groups that competed with them week by week through the 1960s. A comparison of how many Beatles’ songs were covered as opposed to those of their most successful contemporaries offers a measure of how artistically significant Beatles’ songs have been in the last half century. While compiling lists of #1 hits and data about recording sales provides a commercial measure of success, comparing the number of times a song has been covered provides an artistic yardstick. It documents the choices other musicians have made about songs they admire and think will advance their own careers. I’ve chosen to compare the songs of Lennon and McCartney to Bob Dylan, The Rolling Stones (Jagger and Richards), Chuck Berry, and four of Motown’s most successful songwriting teams, (1) Lamont Dozier, Eddie Holland, Brian Holland; (2) Smokey Robinson, who often worked with someone else; (3) Barrett Strong and Norman Whitfield; and (4) Berry Gordy, Jr., who normally worked with others. The total number of songs by each of these songwriters that have been covered ranges widely. I compiled these numbers from Secondhandsongs.com on 4 June 2016. Because many of these songs were covered by just one or two others, these totals are not as revealing as a comparison of their most widely covered songs. For each of these, then, I have created top ten lists. The numbers for their most covered songs are as follows. Those for The Beatles appear last. Motown Top 10 Covers of songs by – (1) Holland, Dozier, Holland; (2) Smokey Robinson; (3) Barrett Strong and Norman Whitfield; (4) Berry Gordy, Jr. and Janie Bradford. The names of the first singer(s) to record the songs appear in parentheses. Something else unexpectedly emerges from the top-10 list for The Beatles: the dominance of McCartney’s songs. Only the last on the list, “Come Together”, is solely by Lennon. The fourth, “And I Love Her”, was a joint Lennon-McCartney effort, and “Something” is by George Harrison. All the others are by McCartney. Is this evidence that he has been the more influential composer? Or perhaps only that his songs are more tuneful – an assertion often made – and are therefore more likely to be covered, or, are more likely to be covered by ensembles and singers other than rock musicians? But there is commercial evidence that McCartney achieved more as a songwriter than Lennon even during the years The Beatles were together. Here is a list of songs by Lennon and McCartney that made it to #1 either in the UK or the US. I group the songs in two-year periods and note whether they were composed singly or jointly. “Paperback Writer” was a pivotal song in the Lennon-McCartney collaboration. Of the 27 of their songs that became #1 hits in the US and/or the UK, it falls near the middle at number 15, with 14 #1 songs before and 12 after. As the last of the collaborative Lennon-McCartney songs, it marks a turning point in their best-selling songs. McCartney’s ascent stands out clearly. Through “Paperback Writer” the successes were more evenly shared: eight #1 songs were collaborative, two were by McCartney and five by Lennon. Afterwards, the tide shifts away from Lennon and away from collaboration. None of the remaining twelve were jointly composed, three were by Lennon and nine by McCartney. Lennon’s decline may be the result of his much greater drug use during these years, both LSD and heroin, and his 1968 divorce. McCartney’s success writing the Beatles’ biggest hits after “Paperback Writer” was surely not lost on Lennon. Perhaps it stoked his unhappiness about working collaboratively with McCartney. Once he was free of The Beatles, Lennon composed “Imagine,” a song that currently has 213 covers, by far more than any of McCartney’s post-Beatle efforts. Because their later songs seem to be those more often covered, there may be a link between McCartney’s dominance in the top-10 list of songs covered and his rise as a writer of #1 hits. A closer mapping of the data now available in Secondhandsongs.com will help affirm or dismiss this possibility. ORA - "...a musical comet..."
As many of my AMS colleagues know, in 2015 I retired from my position as Senior Commissioning Editor of music and theatre books at Cambridge University Press, founding my company, Cooper Digital Publishing Ltd., to develop apps and iBooks in a wide range of areas. Among other projects with my new work, I am especially proud to have been elected onto the Board of Trustees of the new professional a cappella vocal ensemble Ora, directed by Suzi Digby. Ora recently was launched at a private concert at the Tower of London and has just brought out its first CD, ‘Upheld by Stillness: Renaissance Gems and their Reflections’ (Amazon UK and Amazon US) with the Harmonia Mundi label. Ora’s second recording will be released in autumn 2016, with further CDs underway, and the group completed a successful US tour in May. Unusually for an a capella group, Ora also engages professional stage directors to produce full productions rather than traditional ‘stand and sing’ concerts. Ora holds a unique place among performing groups, with their recordings and concerts combining both the early music repertoire with contemporary works. This pairing is of special interest as many of the contemporary works are directly commissioned by Ora through their dedicated composition programme. By way of a bit of background, Ora was born out of a belief that we are in a second golden age of choral music, matching that of the English Renaissance. In recent years choral composition and performance have become especially popular in the UK, even reaching the more general market level, with successful television programmes such as Last Choir Standing (Ora’s Music Director, Suzi Digby, serving as one of the judges), and The Choir, charting the competition and progress of choral ensembles. Many will also be familiar with A Festival of Nine Lessons and Carols, the Christmas Eve service held in King’s College Chapel, Cambridge, and broadcast worldwide by the BBC. As well as the more traditional repertoire, the Service offers modern choral works and, since 1983, a specially-commissioned choral composition is included each year. Yet, along with the growing interest and activity in modern choral music, it is also valuable to look back at the earlier repertoire, regard its legacy and resonance, and consider if inspiration can be found and stylistic relationships created. Thus, Ora’s performances and recordings showcase classic choral masterpieces of the English Renaissance, and partner these with modern compositions, many specially written by contemporary composers. The brief is for the composers to contemplate how the early music repertoire—its techniques, styles, and vision—can inspire them as twenty-first century composers. Commissioning these new choral works, and championing contemporary composers, is one of the main goals for Ora. Moreover, in conjunction with its affiliate patron’s group Ora 100 the ensemble is dedicated to the creation of a choral repertoire for current performance and future generations. The commissioned composers range from more established names, such as Francis Pott and Roxanna Panufnik, to the younger generation, including Owain Park (b. 1993) and Charlotte Bray (b. 1982), among others. Additional compositional pairings by contemporary composers, with the works specially commissioned by Ora, include Roxanna Panufnik’s ‘Kyrie After Byrd’—‘a reflection on the Kyrie of Byrd’s Mass for Five Voices’; Alexander L’Estrange, ‘Show me, Deare Christ’, a contemplation on the Credo of Byrd’s Mass for Five Voices; and Roderick Williams’ ‘Ave Verum Corpus Re-Imagined’, a meditative piece on Byrd’s Ave Verum Corpus. Ora’s Artistic Director and Conductor, Suzi Digby, OBE, is an internationally renowned choral conductor and music educator who has trail-blazed the revival of singing in UK schools and the community. Digby founded and runs the inﬂuential UK national arts/educational organisations: The Voices Foundation (the UK’s leading Primary Music Education Charity); Vocal Futures (nurturing young audiences for classical music); and the London Youth Choir (a pyramid of 5 choirs, 8-22, serving all communities in London’s 33 boroughs). Digby is also a visiting Professor at the University of Southern California (Choral Studies) and in 2014 launched her Californian professional vocal consort, The Golden Bridge. Digby annually conducts 2,000 voices in the Royal Albert Hall in a scratch Youth Messiah, and on the lighter side of music has provided choirs for the Rolling Stones at the O2, Glastonbury Festival and Hyde Park, amongst other venues worldwide. I hope Ora’s vision and music, along with their active composition commissioning programme, will be of interest to AMS colleagues, and to a wide range of listeners, including scholars, enthusiasts, performers, and composers. Victoria Cooper is Founder and Director of Cooper Digital Publishing Ltd, established to create ebooks, apps, and digital products in the areas of culture, media, and healthcare. Most recently, Cooper Digital Publishing collaborated with InkPix Media and film company Ink Factory to create the interactive iBook, The Night Manager: Insider’s Guide, on Apple iTunes for the BBC and film company AMC, to accompany the very successful television series The Night Manager. Formerly Senior Commissioning Editor of music and theatre books at Cambridge University Press, Cooper has written widely on the publishing industry and publishing history. She is on the Board of Trustees of the professional choral group Ora, Board of Trustees of the charity performing arts organisation, Vocal Futures, and Member of Council for the Handel Institute. Both color and sound move through time, and are similarly at once authentic and deceitful. They are mediums that connect to the vibratory quality of being, and mediums that encounter us, in a way that doesn’t always give us the possibility to control their entry into our bodies and our psyche. The film opens with a crackling recording of Lachmann speaking at a December 1936 meeting of the Advisory Committee for the Palestine Broadcasting Service, established earlier that year by the British Mandate (the first transmission was on March 30). Over a blank screen, he delivers an indignant response to recent attacks to his musical programs by the local Hebrew and Arabic presses. At the end of the clip, he states, “I would ask you now to give me your most valuable advice as to possible changes in our programs and our method. It goes without saying that I cannot promise to accept your advice.” In fact, Lachmann would largely ignore his listening public’s feedback and persist in the broadcasting project according to his own mission to defy the onward march of modernity by salvaging oral traditions. For the European, here [Palestine], it is of vital interest to know the mind of his Oriental neighbor; well, music and singing, as being the most spontaneous outcome of it, will be his surest guide provided he listens to it with sympathy instead of disdain. His radio programs, running from November 1936 through April 1937, each featured a lecture on an Oriental musical tradition with performances by local musicians. In her film, Jumana Manna travels around Jerusalem and other areas of Israel/Palestine to interview members of the ethnic communities with whom Lachmann worked in the 1930s. Some of the scenes begin with Manna reading from Lachmann’s handwritten lecture notes to reveal his Orientalizing rationale; this is coupled with footage of Manna’s own parents interacting with each other in their Jerusalem apartment—a metaphor for the conflicting ideological discourses about home and ownership in the region. Manna embeds Lachmann’s scholarly project in the 21st-century political context by repatriating it in a manner that is paradoxically ephemeral yet newly archived by virtue of its capture on film: She uses her smart phone, a consistent prop throughout the film, to play the original broadcasted performances for her interview subjects. In a striking, unscripted moment, the voice turns out to belong the father of one of Manna’s Samaritan interview subjects—a father whom the woman is encountering for the first time through this recording. Perhaps the highlights of the film occur where Manna asks the musicians she interviews to perform for the camera. 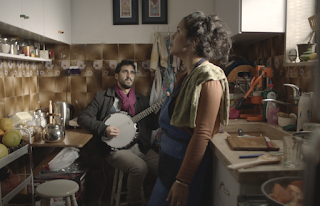 The Moroccan-Israeli singer Neta Elkayam, accompanied by Amit Hai on banjo (an untraditional choice of instrument that surely would make Lachmann turn in his grave), performs traditional songs in her kitchen while cooking a tagine and speaking about the burden of having to negate her Moroccan-Arab roots in order to assimilate to a Zionist ideal enforced through education and social pressures. “Home” for her grandmother was the “Morocco” inside the four walls of her Israeli house. The closing scene of the film features a group of Palestinian musicians playing a raucous dabke, “cAla dal’una,” a song also presented during Lachmann’s final radio lecture. As a love song meant for social dancing at a wedding, it serves as a powerfil affirmation of community, and in another beautiful unscripted moment, a blind elderly man enters the house to join in the dancing as if “the vibratory quality of being” and loss of control described by Manna could be instantiated with just a little music. In her Director’s Statement, Manna refers to Lachmann’s project as a “failure,” because “his study of the Oriental Jews along-side Palestinians did not create a greater understanding between the concerned communities.” She frames the film as “the present giving advice to the past,” imploring the ghost of Lachmann to finally embrace “how the traditions are influencing and forming to one another.” Herein lies a potential crisis for public musicology: Are we responsible for solving the conflicts in which we work? Can our work even have small effects on politics, discourse, social relations, etc.? This line of questioning is not meant to be rhetorical or defeatist; as someone researching music in Israel/Palestine, these issues often crop up in my field interviews, interactions with colleagues, and even the writing process. Although I have no illusions that my scholarship will “save the world,” I still think there is something to Manna’s critique that might bear out in methodological and representational considerations. Her film, according to the director’s statement, “renders visible the complex inter-dependency of identities that were falsely made discrete from one another” by the political ideology of pre-1948 Zionism. If it indeed accomplishes this goal, it does so by showing a series of intimate musical encounters that evince processes of exchange, or at least affinity, between communities that are often framed as enemies. To be sure, this isn’t a programmatic attempt to put musicians from clashing cultures in the same room, such as in the West-Eastern Divan Orchestra (discussed here and here by Rachel Beckles Willson), projects discussed in Benjamin Brinner’s recent monograph, or even the Silk Road Ensemble (which, as it happens, is the subject of its own upcoming documentary film). Instead, Manna’s work allows the private sphere of musical experience to displace the public rhetoric of the Israeli-Palestinian conflict—at least during the moment of viewing—and allows the people living through it to have the strongest voice. The “magical substance” of music becomes not so much a romanticization of its “healing” powers but rather a profound recognition that conflict is something felt, experienced, and performed. Perhaps this is the wisdom Manna offers not only to Lachmann, but to those of us practicing musicology in the present; herein lies not a limit to but rather an affirmation of the potential and value of our work—the work we specifically are equipped to do—to both the public and the humanities at-large. Michael A. Figueroa is Assistant Professor of Music at the University of North Carolina at Chapel Hill, where he teaches Middle Eastern and African American music. His current book project focuses on music and territorial conflict in Jerusalem and greater Israel/Palestine. 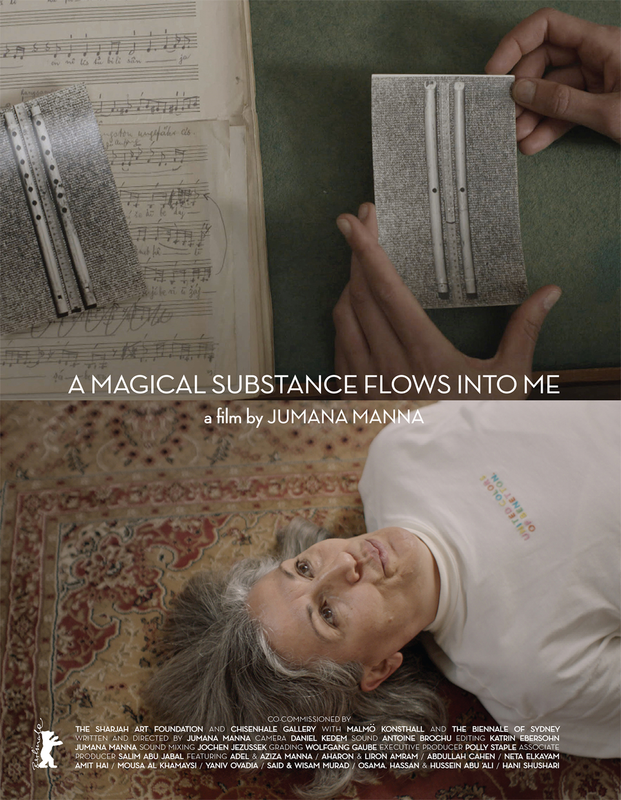 Jumana Manna is a Palestinian artist working primarily with film and sculpture. Her work explores how power is articulated through relationships, often focusing on the body and materiality in relation to narratives of nationalism, and histories of place. Manna received a BFA from the National Academy of Arts in Oslo (KHiO), and an MA in Aesthetics and Politics from California Institute of the Arts. In 2012, she was awarded the A.M. Qattan Foundation’s Young Palestinian Artist Award (first prize). She has participated in various international exhibitions, biennials and film festivals. Lachmann, Robert. 2013. The Oriental Music Broadcasts: A Musical Ethnography of Mandatory Palestine. Edited by Ruth F. Davis. Madison, WI: A-R Editions. In case you missed it, David Stowe recently wrote an interesting post about new contributions to the Sacred Harp at OUPBlog. Check it out!